“For we are God’s handiwork, created in Christ Jesus to do good works, which God prepared in advance for us to do” (NIV). Ephesians 2:10 serves as a mold by which Body & Soul Ministries has formed and grown throughout the years. Placed in our path by faithful friends around the world, we have answered opportunities to serve in ways we hope fit well into the bigger picture of what God is doing in the world to bring about restoration and renewal. Danny Carrigan, John Bailey and Greg Smith at Gunug Sitoli Hospital, Nias Island, Indonesia. John C. Bailey, a long time dentist and preacher in the Fort Worth, Texas area, began answering calls for help, and those who knew him and his heart for service wanted to assist through volunteering, prayer, and financial backing. This heart for service grew into Body & Soul Ministries. From its start, Dr. Bailey built an organization on the idea that we could use volunteers to maximize the impact of donations. This is why even today Body & Soul is run entirely on the efforts of volunteers, so that funds are used solely for the direct benefit of those being served. For instance, our website development and newsletter printing are donated by people committed to this ministry. Body & Soul seeks to demonstrate the love of Christ in the lives of people in need in ways that bring healing, education, and relief from suffering. The opportunities that have been placed before us in this realm have led to a focus on those who would not otherwise be able to find relief on their own. 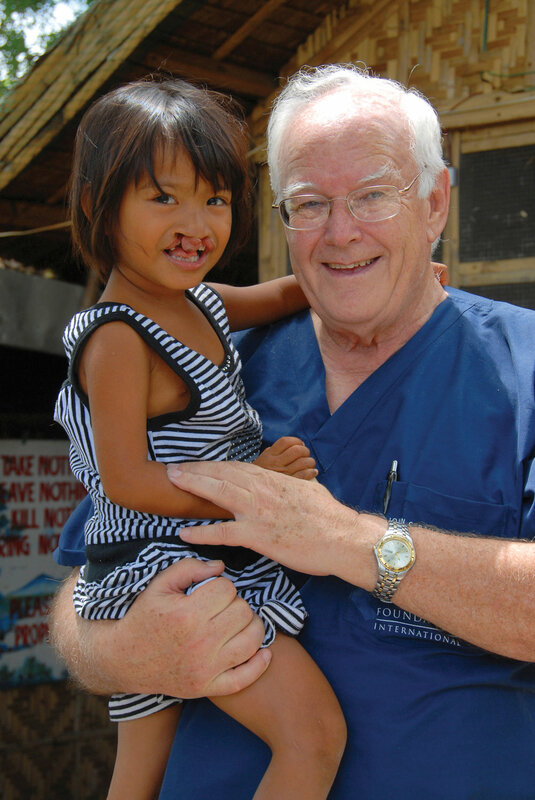 Dr. John Bailey holds a dear child with a severe cleft lip on the island of Cebu in the Philippines.